Browne MG and Franz JR. Ankle power biofeedback attenuates the distal-to-proximal redistribution in older adults. Gait & Posture (In press). Background: Compared to young adults, older adults walk slower, with shorter strides, and with a characteristic decrease in ankle power output. Seemingly in response, older adults rely more than young on hip power output, a phenomenon known as a distal-to-proximal redistribution. Nevertheless, older adults can increase ankle power to walk faster or uphill, revealing a translationally important gap in our understanding. Research Question: Our purpose was to implement a novel ankle power biofeedback paradigm to encourage favorable biomechanical adaptations (i.e. reverse the distal-redistribution) during habitual speed walking in older adults. Methods: 10 healthy older adults walked at their preferred speeds while real-time visual biofeedback provided target increases and decreases of 10 and 20% different from preferred ankle power. 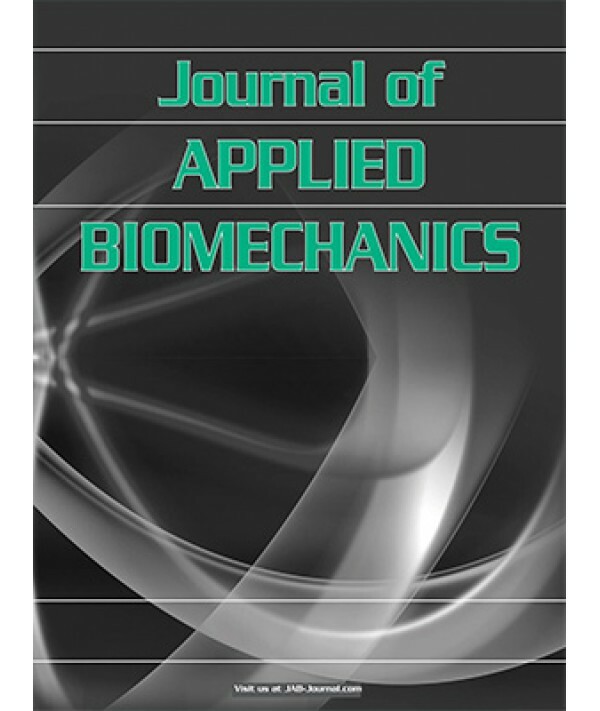 We evaluated the effect of changes in ankle power on joint kinetics, kinematics, and propulsive ground reaction forces. Pre and post overground walking speed assessments evaluated the effect of increased ankle power recall on walking speed. Results: Biofeedback systematically elicited changes in ankle power; increasing and decreasing ankle power by 14% and 17% when targeting ±20% different from preferred, respectively. We observed a significant negative correlation between ankle power and hip extensor work. Older adults relied more heavily on changes in ankle angular velocity than ankle moment to modulate ankle power. Lastly, older adults walked almost 11% faster when recalling increased ankle power overground. Significance: Older adults are capable of increasing ankle power through targeted ankle power biofeedback – effects that are accompanied by diminished hip power output and a reversal of the distal-to-proximal redistribution. The associated increase in preferred walking speed during recall suggests a functional benefit to increased ankle power output via transfer to overground walking. Further, our mechanistic insights allude to translational success using ankle angular velocity as a surrogate to modulate ankle power through biofeedback. Congratulations to Michael Browne on successfully defending his dissertation, titled “Biofeedback to modulate push-off intensity in older adults: implications at the muscle, joint, limb, and whole-body levels.” Nice work, Dr. Browne!! Waanders JB, Hortobágyi T, Murgia A, DeVita P, Franz JR. Advanced age redistributes positive but not negative leg joint work during walking. Medicine & Science in Sports & Exercise (In press). Introduction: Advanced age brings a distal-to-proximal redistribution of positive joint work during walking that is relevant to walking performance and economy. It is unclear whether negative joint work is similarly redistributed in old age. Negative work can affect positive work through elastic energy return in gait. We determined the effects of age, walking speed, and grade on positive and negative joint work in young and older adults. Methods: Bilateral ground reaction force and marker data were collected from healthy young (age 22.5 years, n=18) and older (age 76.0 years, n=22) adults walking on a split-belt instrumented treadmill at 1.1, 1.4, and 1.7 m/s at each of three grades (0, 10, and -10%). Subjects also performed maximal voluntary eccentric, isometric, and concentric contractions for the knee extensors (120, 90, 0°/s) and plantarflexors (90, 30, 0°/s). Results: Compared to young adults, older adults exhibited a distal-to-proximal redistribution of positive leg joint work during level (p<0.001) and uphill (p<0.001) walking, with larger differences at faster walking speeds. However, the distribution of negative joint work was unaffected by age during level (p=0.150) and downhill (p=0.350) walking. Finally, the age-related loss of maximal voluntary knee extensor (p<0.001) and plantarflexor (p=0.001) strength was lower during an eccentric contraction vs. concentric contraction for the knee extensors (p<0.001) but not for the plantarflexors (p=0.320). Conclusion: The distal-to-proximal redistribution of positive joint work during level and uphill walking is absent for negative joint work during level and downhill walking. Exercise prescription should focus on improving ankle muscle function while preserving knee muscle function in older adults trying to maintain their independence. Franz JR, Khanchandani A, McKenney H, Clark WH. Ankle rotation and muscle loading effects on the calcaneal tendon moment arm: an in vivo imaging and modeling study. 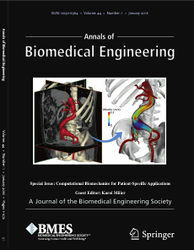 Annals of Biomedical Engineering (In press). Abstract. In this combined in vivo and computational modeling study, we tested the central hypothesis that ankle joint rotation and triceps surae muscle loading have independent and combinatory effects on the calcaneal (i.e., Achilles) tendon moment arm (CTma) that are not fully captured in contemporary musculoskeletal models of human movement. 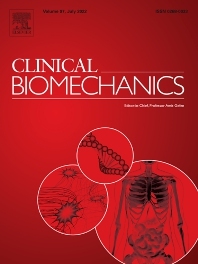 We used motion capture guided ultrasound imaging to estimate instantaneous variations in the CTma during a series of isometric and isotonic contractions compared to predictions from scaled, lower extremity computational models. As hypothesized, we found that muscle loading: (i) independently increased the CTma by up to 8% and (ii) attenuated the effects of ankle joint rotation, the latter likely through changes in tendon slack and tendon curvature. Neglecting the effects of triceps surae muscle loading in lower extremity models led to an underestimation of the CTma, on average, particularly in plantarflexion when those effects were most prominent. We also found little agreement between in vivo estimates and model predictions on an individual subject by subject basis, alluding to unaccounted for variation in anatomical morphology and thus fundamental limitations in model scaling. Together, these findings contribute to improving our understanding of the physiology of ankle moment and power generation and novel opportunities for model development. ABL and Collaborators Receive 2 New NIH Grants! The UNC/NCSU Applied Biomechanics Laboratory, in a great example of the inter-disciplinary nature of biomedical engineering and the impact of collaborative science, was recently awarded two new research grants from the National Institutes of Health. First, in collaboration with the UNC Division of Geriatrics and Co-PI Dr. Gregory Sawicki in the Georgia W. Woodruff School of Mechanical Engineering at Georgia Tech, we will begin work on a new five-year NIH R01 to study (1) neuromechanical explanations for the greater metabolic energy cost of walking in older adults and (2) translation of that understanding to biologically-inspired wearable robotics for preserving independent mobility in our aging population. Ultimately, we hope to use ultrasound imaging to guide optimal prescription of assistive devices to improve locomotor function in aging – an outcome that will have significant positive impact on quality of life for millions. Second, in collaboration with Co-PI Dr. Brian Pietrosimone in the UNC Department of Exercise and Sport Science, we will begin work on a new NIH R21 to study how altered lower extremity loading affects knee joint biomechanics, joint tissue biochemistry, cartilage deformation, and quadriceps muscle contractile behavior during walking in people following ACL reconstruction. By combining real-time biofeedback, ultrasound imaging, and biochemical markers, this study will be the first to determine the acute effects of joint loading on a collection of critical factors associated with the pathogenesis of post-traumatic osteoarthritis in a relevant patient population. We are incredibly excited to continue our work with these exceptional groups of colleagues and collaborators. Thompson JD, Plummer P, Franz JR. Age and falls history effects on antagonist leg muscle coactivation during walking with balance perturbations. Clinical Biomechanics. Background: Inspired by a reliance on visual feedback for movement control in older age, optical flow perturbations provide a unique opportunity to study the neuromuscular mechanisms involved in walking balance control, including aging and falls history effects on the response to environmental balance challenges. Specifically, antagonist leg muscle coactivation, which increases with age during walking, is considered a neuromuscular defense against age-associated deficits in balance control. The purpose of this study was to investigate the effects of age and falls history on antagonist leg muscle coactivation during walking with and without optical flow perturbations of different amplitudes. Methods: Eleven young adults [mean (standard deviation) age: 24.8 (4.8) years], eleven older non-fallers [75.3 (5.4) years] and eleven older fallers [age: 78 (7.6) years] participated in this study. Participants completed 2-minute walking trials while watching a speed-matched virtual hallway that, in some conditions, included mediolateral optical flow perturbations designed to elicit the visual perception of imbalance. Findings: We first found that lower leg antagonist muscle coactivation during normal walking increased with age, independent of falls history. We also found that older but not young adults increased antagonist leg muscle coactivation in the presence of optical flow perturbations, with more pervasive effects in older adults with a history of falls. Interpretation: Our findings allude to a greater susceptibility to optical flow perturbations in older fallers during walking, which points to a higher potential for risk of instability in more complex and dynamic everyday environments. These findings may also have broader impacts related to the design of innovative training paradigms and neuromuscular targets for falls prevention. Our newest publication represents a wonderful new and productive collaboration with Dr. Jessica Allen, Professor of Chemical and Biomedical Engineering at West Virginia University. Allen JL and Franz JR. The motor repertoire of older adult fallers may constrain their response to balance perturbations. Journal of Neurophysiology (In press). Abstract. Older adults are at a high risk of falls, and most falls occur during locomotor activities like walking. This study aimed to improve our understanding of changes in neuromuscular control associated with increased falls risk in older adults in the presence of dynamic balance challenges during walking. Motor module (a.k.a. muscle synergy) analyses identified changes in the neuromuscular recruitment of leg muscles during walking with and without perturbations designed to elicit the visual perception of lateral instability. During normal walking we found that falls history (but not age) was associated with reduced motor module complexity, and that age (but not falls history) was associated with increased step-to-step variability of module recruitment timing. Further, motor module complexity was unaltered in the presence of optical flow perturbations. The specific effects of falls history on leg muscle recruitment included an absence and/or inability to independently recruit motor modules normally recruited to perform biomechanical functions important for walking balance control. These results suggest that fallers do not recruit the appropriate motor modules necessary for well-coordinated walking balance control even in the presence of perturbations. The identified changes in the modular control of walking balance in older fallers may either represent a neural deficit that leads to poor balance control, or a prior history of falls results in a compensatory motor adaptation. In either case, our study provides initial evidence that a reduced motor repertoire in older adult fallers may be a constraint on their ability to appropriately respond to balance challenges during walking. New and noteworthy: This is the first study to demonstrate a reduced motor repertoire during walking in older adults with a history of falls but without any overt neurological deficits. Further, using virtual reality during walking to elicit the visual perception of lateral instability, we provide initial evidence that a reduced motor repertoire in older adult fallers may be a constraint on their ability to appropriately respond to balance challenges during walking. The Applied Biomechanics Lab had an incredible presence at the 2018 Annual Meeting of the American Society of Biomechanics in Rochester, MN. We were especially excited to have two finalists for the PhD student award competition and one finalist for the undergraduate student competition. Their hard work and commitment to exceptional science definitely paid off. Conway KA, Bissette RG, Franz JR, Older adults overcome their deficits to young adults when propulsive demands of walking are increased to their maximum. Browne MG and Franz JR, Restoring propulsive forces in elderly gait does not impair dynamic stability. Clark WH and Franz JR, Activation-dependent changes in soleus length-tension behavior augment ankle joint quasi-stiffness. Qiao M, Truong KN, and Franz JR, Does local dynamic stability during unperturbed walking predict the response to balance perturbations? An examination across age and falls history. Qiao M, Richards JT, and Franz JR, Visuomotor error augmentation affects mediolateral head and trunk stabilization during walking.